Founded in 2001 and 100% channel focused, AireSpring is an award-winning, privately owned, Nationwide Managed Services Provider and Network Operator. We process over 30 billion calls per year on our carrier-grade advanced VoIP network. We maintain network to network interconnections (NNIs)with over 30 US networks and all major carriers. Our hybrid reseller/network operator model allows us to tie together multiple services and carriers nationwide into a single, customized quote and one bill. We offer very competitive rates, generous evergreen commissions & personalized service that Mega-Carriers don’t provide. We handle your orders differently. Every order is treated as a project and assigned a project coordinator and implementation engineer. Our project management team is second to none. We pride ourselves on our flexibility, agility and responsiveness. We make it easy to quickly escalate issues to Senior Management for rapid resolution. AireSpring provides fully managed and connected end-to-end, next-generation solutions for mid-market and multi-location enterprise customers, including SD-WAN, Hosted PBX, Managed Failover, Managed Security, SIP Trunking, MPLS Mesh, and Business Internet. Services are offered over AireSpring's revolutionary nationwide MPLS Mesh network, providing customers with a fully integrated, end-to-end solution from a single vendor. AireSpring has received numerous industry awards for "Product of the Year," "Best Telecom Deal," "Best in Show," and "Top Channel Program." 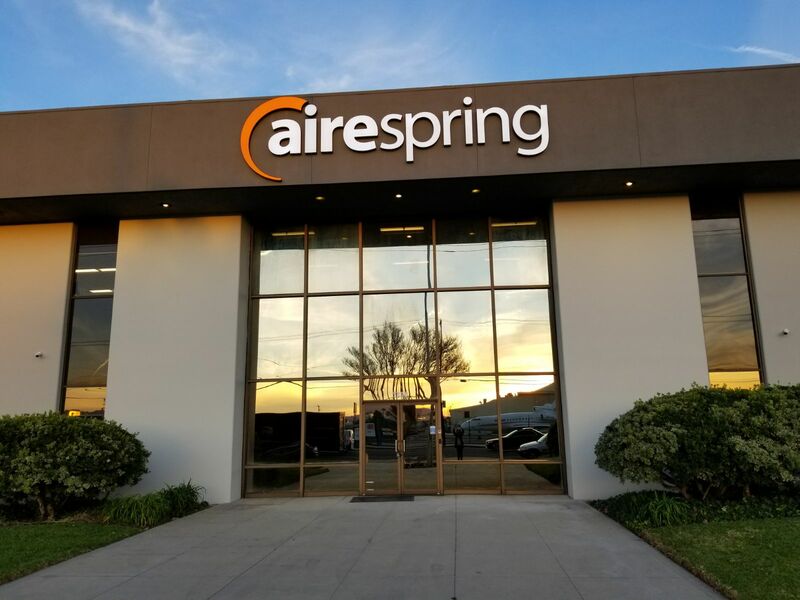 AireSpring is privately held, diversified, debt-free, and renowned in the industry for delivering a broad range of innovative solutions at competitive rates. 0	jplist-folder-All-Posts-27105 jplist-folder-Featured-27108 jplist-folder-All-Posts-27105 Case-Study-Case-Study	jplist-topic-Business-Continuity jplist-topic-Disaster-Recovery jplist-topic-DR jplist-topic-SD-WAN jplist-topic-Sdwan	1	03/26/2019 13:38:21	Coast Central Credit Union (CCCU) serves members throughout the California Counties of Humboldt, Del Norte and Trinity. The area is largely rural, located along the far “North Coast” of California. At $1.4 billion in assets, Coast Central Credit Union is a key part of the communities it serves, with a total of more than 68,000 members, making it the biggest locally-owned financial institution. There are 11 locations in eight cities across the three counties, with two offices providing extended hours evenings and weekends. For many years, the North Coast community has had challenges with Internet service. Due to the remote location, most of the Internet infrastructure is located out of the area, depending on a handful of long-haul fiber connections to hubs further south that regularly go down. The result is a loss of Internet service for most of the community, as well as a loss of WAN connectivity to one or more Coast Central locations. One office is a full three-hour drive away from the main office often requiring the dispatch of repair support technicians. There are numerous external factors that Coast Central cannot control, and these factors may affect business on a daily basis.AireSpring agreed to help Coast Central support the existing carrier and expand service to include a wide variety of carriers and circuit types available in each of the eight cities and 11 remote locations, allowing Coast Central to mesh many different carriers into one dependable, cohesive WAN network. 1	jplist-folder-All-Posts-27105 jplist-folder-Featured-27108 White-Paper-White-Paper	jplist-topic-SD-WAN jplist-topic-SD-WAN jplist-topic-Sdn jplist-topic-Software-Defined-Networking	1	01/25/2019 16:20:10	In a world where multilocation enterprises are embracing cloud applications for even the most sensitive, mission-critical tasks, and where video and mobile communications have become the norm, the demand for reliable, high-performance bandwidth and wide-area networking (WAN) is greater than ever before. But businesses often find themselves relying on legacy WAN network solutions, which often can’t scale up quickly or cost-effectively to meet the needs of an always-on, on-demand business. At the same time, the perimeter of the cloud-native enterprise is much more fluid than that of the WANs of the past, meaning that modern-day business infrastructure is often too complex and multifaceted to manage and support efficiently with traditional “hub-and-spoke” solutions. Fortunately, software-defined WAN (SD-WAN) technology has burst on the scene, offering today’s digital enterprises a compelling way forward. SD-WAN utilizes bandwidth more efficiently and economically, optimizing the WAN infrastructure to lower costs while increasing application and network reliability and performance. Thanks to the elegance of the solution – and the positive business outcomes that it delivers – SD-WAN has been gaining in popularity, and new choices are flooding into the market all the time. As of July 2018, there were 40+ offerings in the market. Adoption is ramping up: 360iResearch expects the global market to grow from $843 million in revenue last year to $15 billion by the end of 2024, at a whopping CAGR of 51 percent. In a recent Frost & Sullivan SD-WAN report, market revenue in North America alone exceeded $300 million in 2017. About 7 percent of enterprise IT decision-makers said they have deployed SD-WAN; and about a quarter (23 percent) of them said they plan to deploy SD-WAN in the next 12 to 24 months. Amid all of this activity, AireSpring is fulfilling its mission to be a best-of-breed resource for multilocation enterprises. Its Platinum SD-WAN package is built to deliver a tailored, managed solution with an array of differentiating aspects providing superior performance, versatility and savings. It’s important to AireSpring to ensure that businesses get the right SD-WAN package for their needs: call it SD-WAN without limits. 2	jplist-folder-All-Posts-27105 jplist-folder-Featured-27108 SPIFF-SPIFF	jplist-topic-Long-Distance jplist-topic-Sip jplist-topic-Toll-Free jplist-topic-Toll-Free-Voice jplist-topic-Wholesale-Voice	1	07/31/2018 18:08:29	AireSpring's Mission Critical Toll Free Voice Service offers unparalleled toll free network reliability and resiliency, while providing advanced tools for efficiently and cost-effectively managing voice traffic, all at a lower cost than any other carrier. 3	jplist-folder-All-Posts-27105 jplist-folder-Featured-27108 jplist-folder-Case-Studies-37427 jplist-folder-All-Posts-27105 Case-Study-Case-Study	jplist-topic-Sip jplist-topic-sip-trunking	1	11/03/2017 18:16:55	AireSpring CustomerNachurs Alpine Solutions is a liquid chemical manufacturer and a market leader in the manufacture and distribution of high quality industrial products. They operate 36 plants and distribution depots with facilities spread across the U.S. and Canada. Nachurs Alpine provides premium quality liquid fertilizer solutions and chemical products to a range of industries, from agricultural customers to businesses in the oil and gas sector. They are one of the largest manufacturers of liquid fertilizer in North America, experiencing 400% growth in the past five years. A company of this size and reach required a phone system to support its diverse, North American business operations. ChallengeUnreliable Call QualityPreviously, Nachurs Alpine received service from Verizon. Unfortunately, they regularly experienced bounced calls, one way calls, choppy audio, and static. For the staff at Nachurs Alpine Solutions, picking up the phone did not necessarily guarantee a dial tone. As an industry leader, this was unacceptable. Despite Verizon’s presence as a major carrier, Nachurs Alpine found that they were unable to meet their quality and service requirements.Poor Customer ServiceThe unreliable call quality Nachurs experienced was coupled with poor customer service. The people at Nachurs Alpine were frustrated that a major carrier was not delivering the level of service they deserved. All Nachurs could do was dial a generic support 800 number and speak to a customer service representative in a call center. There was no escalation path to Verizon management that they could pursue in the event their problem was not resolved.http://www.nachurs-alpine.comIndustry: ChemicalsLocation: Marion, OHType: Privately Held Challenges- Unreliable call Quality- Poor Customer Service- Expensive Monthly Payments Product- SIP Trunking Results- AireSpring’s SIP Trunking line gave Nachurs Alpine Solutions flawless call quality- Nachurs Alpine’s customer service standards were improved- AireSpring was able to cut Nachurs Alpine’s phone bill by nearly 50%. 5	jplist-folder-All-Posts-27105 jplist-folder-Featured-27108 jplist-folder-Case-Studies-37427 jplist-folder-All-Posts-27105 Case-Study-Case-Study	jplist-topic-Hosted-Pbx jplist-topic-Ip-Pbx jplist-topic-Ring-Central jplist-topic-Virtual-PBX jplist-topic-Vonage	1	06/16/2017 20:04:47	The staff at CSI were using an on-premise system to serve their vast customerbase. Each time their system required an upgrade, CSI was forced to buy an entirenew system and have it brought to their facilities. Thus, CSI’s staff had to routinelyreconfigure, reprogram, and reinstall their phone system when the previous hardwarebecame outdated. For CTO Eric Jaffe, it was beneficial to have the system localizedso that he could retain control over the company’s communications. However, itultimately proved difficult to make simple changes on the fly. CSI’s challenges spanned beyond the impracticality of having an on-premise PBXsystem. In addition to difficulties with the technology, CSI experienced poor customerservice and resistant billing personnel at their previous telecommunications serviceprovider. “In one instance, we were charged for a week of service that we didn’treceive,” Jaffe recalls, “and yet it took us two years to ultimately resolve the billingdispute.” Jaffe and the staff at CSI were distracted from focusing on their business goals whilemanaging an outdated communications system and constantly negotiating with adifficult provider. Tired of struggling with their phone system, CSI decided to shop fora new provider that could deliver a seamless transition from their on-premise modelto a cloud-based system. 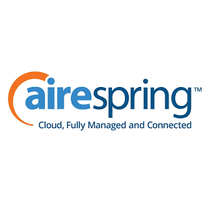 A communications consultant recommended AireSpring,and in the summer of 2016, CSI replaced their on-premise PBX with AireSpring’sAirePBX Cloud Business Phone System. 7	jplist-folder-All-Posts-27105 jplist-folder-All-Posts-27105 Live-Webinar-Live-Webinar	jplist-topic-GeoQuote jplist-topic-QuoreSpring jplist-topic-Quotes	04/23/2019 0	04/15/2019 16:26:17	Experience AireSpring's QuoteSpring Real-time, Online Quoting and DAX Order Tracking and Status Reporting Programs AireSpring gladly provides concierge service to our channel partners, but we also offer fantastic automation tools. If you haven’t seen a demo or been trained on how to use QuoteSpring and DAX, our premiere back office tools, you are in for a treat. Our real-time, online quoting tool, QuoteSpring, is the major component of our innovative agentStar back office portal. With QuoteSpring you get: Virtually every available option, at every available speed, at every address in the USA.Fiber; Broadband, DSL, U-verse, FiOS, Cable Modem, DS-1, T1, etc.Real-time Quotes in minutes! Not days or weeks like other carriers.20-plus carriers integrated into a common network.Single quote for multiple services and speeds. Our National Channel Manager and QuoteSpring Jedi Master, Chris Abbott will provide an in-depth overview into QuoteSpring including a live demo of creating a quote and proposal. You'll learn how to leverage the tool to win more deals and beat your competitors. In addition to QuoteSpring, Chris will provide a deep dive into DAX, our sophisticated, 24x7, real-time order tracking and status program. DAX offers a wealth of information, including: FOC datesCircuit infoTracking Order statusOrder notes Contact information for AireSpring Project Coordinators (PC) and Managed Services Engineers (MSE) Visibility on emails sent and received on each order and much more! Join us Tuesday, April 23, 2019 to discover the wealth of information that is waiting for you in agentStar. See how these programs can give you the edge you need to offer excellent service to your clients and stand out from the crowd. Complete our brief survey at the end for a chance to win a $100 Amazon gift card! 8	jplist-folder-All-Posts-27105 jplist-folder-All-Posts-27105 Brochure-Brochure	jplist-topic-SD-WAN jplist-topic-Sdn jplist-topic-Sdwan jplist-topic-Software-Defined-Networking jplist-topic-Wan	0	03/07/2018 15:32:53	AireSpring’s Platinum SD-WAN package delivers an enhanced, fully managed, easy-to-deploy solution, including complete design engineering, dedicated project management and white-glove implementation and support from our team of technology experts. Thisinnovative and customizable package helps companies optimize their communications networks by leveraging advanced SD-WAN features and functionality together with AireSpring’s nationwide, end-to-end managed connectivity and professional services. 10	jplist-folder-All-Posts-27105 jplist-folder-Battle-Cards-28544 jplist-folder-All-Posts-27105 Battle-Card-Battle-Card	jplist-topic-At-t jplist-topic-Dia jplist-topic-Hosted-Pbx jplist-topic-IP-Phone jplist-topic-Long-Distance jplist-topic-managed-connectivity jplist-topic-Mis jplist-topic-mpls jplist-topic-SD-WAN jplist-topic-Sip jplist-topic-Ucaas jplist-topic-unified-communications jplist-topic-Vopi	0	07/03/2017 14:13:37	Founded in 2001 and 100% channel focused, AireSpring is anaward-winning, privately owned, Nationwide Managed ServicesProvider and Network Operator. We process over 30 billion callsper year on our carrier-grade advanced VoIP network.We maintain network interconnections with over 16 US networks andall major carriers. Our hybrid reseller/network operator model allows usto tie together multiple services and carriers nationwide into a single,customized quote and one bill. We offer very competitive rates,generous evergreen commissions & personalized service thatMega-Carriers don’t provide.We handle your orders differently. Every order is treated as a projectand assigned a project coordinator and implementation engineer. Ourproject management team is second to none. We pride ourselves onour flexibility, agility and responsiveness. We make it easy to quicklyescalate issues to Senior Management for rapid resolution. 12	jplist-folder-All-Posts-27105 jplist-folder-All-Posts-27105 Brochure-Brochure	jplist-topic-8x8 jplist-topic-AVAYA jplist-topic-Business-Voip jplist-topic-Hosted-Pbx jplist-topic-Ip-Pbx jplist-topic-Managed-VoIP jplist-topic-Mitel jplist-topic-pbx jplist-topic-Ring-Central jplist-topic-voip jplist-topic-Vonage	0	02/03/2017 21:23:13	AirePBX Business contains everything you need in a hosted PBX solution, providing your office with consistent, high-quality communications at a competitive price with benefits most VoIP vendors don't include: White Glove ServiceAireSpring pre-configures and ships equipmentdirectly to your customer’s location and dispatchesa trained technician to perform professional on-siteinstallation and testing of IP phones, routers andswitches to ensure that your communications systemworks perfectly. Eliminate Finger Pointing Between ProvidersBy having all services delivered by a single vendoron a fully managed network, you avoid the fingerpointing and blame game that occurs when youhave cloud communications services delivered bya different vendor than your connectivity. (WithAireSpring Managed Connectivity) Reliable and Diversified NetworkAireSpring’s geo-redundant network provides truenetwork diversity and supports disaster recoveryoptions, allowing you to ensure business continuity. Free Advanced IP Desk PhonesWhy pay for phones when you can get them for free?AireSpring includes FREE next generation IP businessphones with a 3 year contract. We also have plenty ofupgrades, including video or touch screen phones, tokeep every business satisfied. Escalation List Up to Our CEOWe stand behind our service 100%! In fact, we’re socommitted to ensuring complete satisfaction that weprovide all of our customers with an escalation listgiving you access to our executive management allthe way up to our CEO. 14	jplist-folder-All-Posts-27105 jplist-folder-Product-Literature-28547 jplist-folder-All-Posts-27105 Product-Literature-Product-Literature	jplist-topic-Adtran jplist-topic-Cisco jplist-topic-Routers	0	06/30/2016 21:34:01	The AireSpring Managed Router Service is the best way to reduce unexpecteddowntime and performance issues in your business network. With free24/7/365 monitoring, the Managed Router Service will lower your capitalinvestments and maintenance expenses, replacing high-cost repairs andreplacements with a single low monthly fee. Our routers are custom configuredto your business needs, and our Network Operations Center (NOC)constantly monitors your equipment to ensure that it is fully optimized andperforming at the highest possible level. 16	jplist-folder-All-Posts-27105 jplist-folder-Product-Literature-28547 jplist-folder-All-Posts-27105 Product-Literature-Product-Literature	jplist-topic-EFax jplist-topic-Electronic-Fax jplist-topic-Email-Fax	0	06/30/2016 19:28:30	AireSpring brings faxing into the 21st century, with AireFAX™, our new SMTP enabled fax to email service. Using the same messaging protocol as an ordinary email, AireFAX delivers your faxes digitally. You can send and receive faxes from your email, for the maximum in ease and flexibility. Dedicated AireFAX lines are now available as astand-alone product or as an add-on to any of our services. 17	jplist-folder-All-Posts-27105 jplist-folder-All-Posts-27105 Brochure-Brochure	jplist-topic-Audio-Detection jplist-topic-Call-Monitoring jplist-topic-Call-Recording jplist-topic-Contact-Center	0	06/30/2016 19:26:04	AireSpring’s call recording platform is built from the ground-up to providehigh fidelity recording, efficient storage, and effortless retrieval of phone calls.Designed as an add-on for AireSpring’s award-winning network voice services,including SIP Trunking, PRIs, analog lines, and the AirePBX Cloud BusinessPhone System, AireSpring Call Recording enables a complete call recordingsolution, smoothly integrating with all AireSpring voice services. 18	jplist-folder-All-Posts-27105 jplist-folder-All-Posts-27105 Brochure-Brochure	jplist-topic-EPL jplist-topic-Ethernet jplist-topic-mpls jplist-topic-Networking jplist-topic-Point-To-Point	0	06/30/2016 19:13:58	Ethernet Private Networking smoothly integrates with existing LAN networks, allowing in-house IT staff to seamlessly link customer locations. 19	jplist-folder-All-Posts-27105 jplist-folder-Product-Literature-28547 jplist-folder-All-Posts-27105 Product-Literature-Product-Literature	jplist-topic-Business-Continuity jplist-topic-Disaster-Recovery	0	03/31/2016 17:57:14	Help ensure you're prepared for the unexpected with AireSpring's ManagedFailover Connectivity, which provides a separate, redundant networkconnection in the event your primary connection fails. While the AireSpringNetwork already includes multiple levels of redundancy to ensure highavailability for our Cloud and Voice Network or private MPLS Networks,Managed Failover offers an additional level of high availability connectivity atyour location. And, AireSpring will work with you to ensure you have the levelof Managed Failover that best fits your budget and mission-critical businessrequirements. 20	jplist-folder-All-Posts-27105 jplist-folder-Product-Literature-28547 jplist-folder-All-Posts-27105 Product-Literature-Product-Literature	jplist-topic-internet-access	0	03/31/2016 17:54:05	AireSpring Dedicated Internet Access (DIA) offers the flexibility and scalabilityto meet the needs of your business both today and in the future. Ournationwide fully managed IP network with 24/7 proactive monitoring deliversinternet connectivity you can count on to support your critical applicationsand ensure your data reaches its destination. 21	jplist-folder-All-Posts-27105 jplist-folder-Product-Literature-28547 jplist-folder-All-Posts-27105 Product-Literature-Product-Literature	jplist-topic-Circuit-Monitoring jplist-topic-Network-Monitoring jplist-topic-Wan	0	03/31/2016 17:33:31	The AireNMS WAN Network Monitoring Service provides proacrive 24/7, real-time WAN monitoring and alerting for AireSpring provided routers and gateways. 22	jplist-folder-All-Posts-27105 jplist-folder-White-Papers-28543 jplist-folder-All-Posts-27105 White-Paper-White-Paper	jplist-topic-Business-Voip jplist-topic-Cloud-Business-Phone-System jplist-topic-hosted-ip-pbx jplist-topic-Hosted-Pbx jplist-topic-Ip-Pbx jplist-topic-voip	0	03/31/2016 17:26:27	Learn about the cloud phone service options and other alternatives out there that can help your business save money, be more productive, and improve the customer experience. 23	jplist-folder-All-Posts-27105 jplist-folder-White-Papers-28543 jplist-folder-All-Posts-27105 White-Paper-White-Paper	jplist-topic-mpls jplist-topic-MPLS-Mesh jplist-topic-Virtual-Private-Network jplist-topic-vpn	0	03/31/2016 17:22:29	Today's modern enterprises employ IT technologies that deliver higher value, resiliency, and scalability than similar solutions of just a few years ago. Multi-protocol Label Switching (MPLS) is a mature technology that first became popularized as a cost-effective method for replacing packetized services such as ATM and Frame Relay at branch offices. 24	jplist-folder-All-Posts-27105 jplist-folder-Case-Studies-37427 jplist-folder-All-Posts-27105 Case-Study-Case-Study	jplist-topic-Dedicated-Internet jplist-topic-mpls jplist-topic-Sip	0	03/30/2016 21:17:15	Veridian Credit Union sought iron-clad security and uncompromising reliability for its business communications infrastructure. They could not settle for just a protected internet connection or a secure voice line. Veridian needed a managed, end-to-end comprehensive suite of secure network communications solutions that could handle its hundreds of thousands of members, billions of dollars, and confidential financial data. 25	jplist-folder-All-Posts-27105 jplist-folder-Product-Literature-28547 jplist-folder-All-Posts-27105 Product-Literature-Product-Literature	jplist-topic-Sip jplist-topic-sip-trunking jplist-topic-Uc	0	03/30/2016 21:10:17	Stay profitable. Don't overpay for your phone and data services. SIP Trunking has emerged as the next generation value proposition that enables the convergence of voice and data on a single circuit (if you wish) at an operating cost as much as 50% less than traditional TDM solutions. More importantly, AireSpring SIP Trunking is the ultimate VoIP product which gives your company all the telecom power it needs to operate at peak efficiency while saving the maximum amount on your telecommunications bills. That means a much faster return on the typical hardware investment and the opportunity to focus more resources on making businesses grow. 26	jplist-folder-All-Posts-27105 jplist-folder-Product-Literature-28547 jplist-folder-All-Posts-27105 Product-Literature-Product-Literature	jplist-topic-managed-connectivity jplist-topic-Managed-Network jplist-topic-mpls jplist-topic-Virtual-Private-Network jplist-topic-vpn	0	03/30/2016 19:54:44	AireSpring's Multiprotocol Label Switching (MPLS) - Virtual Private Network (VPN) is the ultimate product for organizations requiring secure T-1 and higher speed data networks with private network security. Our fully meshed network allows you to pick and choose carriers for each location offering maximum flexibility and savings compared to traditional MPLS or Wide Area Networking (WAN) solutions. MPLS Mesh is your flexible path to migrate from legacy data networks to a high performance, scalable and secure IP-based network. AireSprings meshed network technology allows you to cherry pick the right carrier for each of your locations and seamlessly network them all securely. 27	jplist-folder-All-Posts-27105 jplist-folder-Product-Literature-28547 jplist-folder-All-Posts-27105 Product-Literature-Product-Literature	jplist-topic-Anti-malware jplist-topic-Cyber-Security jplist-topic-Firewall jplist-topic-IT-Security jplist-topic-Network-Security jplist-topic-security jplist-topic-UTM	0	03/29/2016 17:56:52	An effective information security program starts with a good Network perimetersecurity plan. You need reliable technology and best practices that will stop viruses,spyware, worms, Trojans, and key loggers before they enter your network. Firewalls andUnified Threat Management (UTM) provide the foundation necessary to protect yourorganization's data, network and critical assets from cyber criminals.But what if you don't have an in-house IT department, or the budget to hire a trainedsecurity expert? And what about the cost of the hardware and software you'll need to buy and maintain going forward? \The answer is a managed firewall service from AireSpring.